Not everyone is able to go to college straightaway and due to this many people ask if a degree is necessary to teach English abroad. Some places require degrees and others don't. The article I wrote, Is a Degree Necessary? has more info. Many people complain about high fees and if that's the case then scholarships are the way to go. 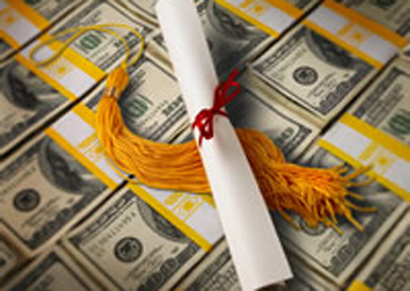 If you’re getting ready to attend college, applying for scholarships is the smart way to go. Hopefully you’re applying to as many as you can, as the more free money you get the better. It’s likely that hundreds, if not thousands, of other students are applying for the same scholarships that you are, so in order to be successful and get the most amount of scholarships possible you need to stand out. Applying for scholarships can be a long and time consuming process, so in order to be successful you must stay motivated and keep yourself shining. After you’ve got all your college applications in to schools like bryantstratton.edu, you need to immediately get working on your scholarships. Check out these tips on how to make your scholarship stand out to prospective scholarship providers and be more successful with getting some free money. When writing TEFL cover letters for jobs, personal essays, or any other thing that requires you to write about yourself, it’s easy to become bashful and not want to write about how great you are. The same goes for many people who are applying for scholarships. While you of course don’t want to sound cocky, you need to make yourself shine to scholarship providers. Make sure you’re honest, but be wary of being too modest. Provide certain examples of your successes, and try and back them up with facts whenever possible. Many scholarship providers, just like job interviewers, will ask you what your weaknesses are. Stay away from a cocky or obnoxious answer like “my only weakness is working too hard”. Instead, provide your weaknesses but also include how you are successful in addressing your weaknesses. Your honestly will shine through to the scholarship provider and you’ll have a much greater shot at some free money. There’s no use wasting your time on scholarships that you aren’t qualified for when you could be spending time applying for ones that you are qualified for. Make sure that you actually have a shot at winning the scholarship that you apply for before you apply. Research what scholarships fit your qualifications. It could be your major, your ethnicity, your high school GPA, or any other targeted scholarship. You won’t be rewarded with a scholarship that you don’t qualify for, so don’t even waste your time writing an essay that is just going to be thrown out. You’ve heard it from just about every teacher you’ve ever had in high school: proofread. The importance of reviewing your work is important in every scenario, and that includes scholarship applications. Here's a quick guide about the differences between editing and proofreading. One small typo could put you at risk for having your scholarship application stamped with an automatic denial. Spend five minutes reading over your application, and then do it again. And again. Then have a friend, teacher, or parent read it too. The more pairs of eyes the better, so make sure every scholarship application you complete is polished and completely free of errors.